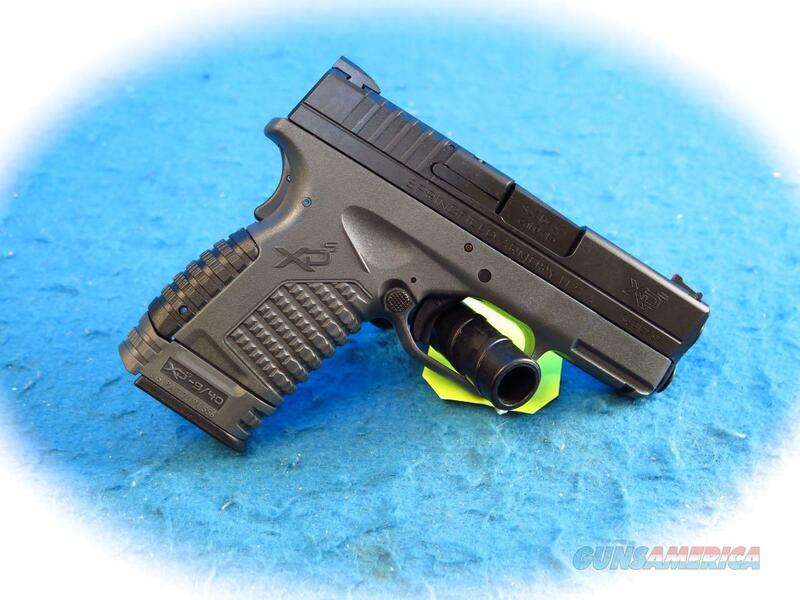 Description: Springfield Armory XDS, 3.3, 9mm semi auto pistol, Tactical Grey model XDS9339YE. Is it possible for a pistol small enough to carry every day to have all the features and capacity that you’d expect in a larger pistol? If that pistol is the XD-S® from Springfield Armory®, the answer is yes. The XD-S® 3.3? 9mm offers so much that you’ll be astonished that it all fits in the small, concealable profile. New $459.99 Perry's Gun Shop is an owner operated family business with a long heritage of TOP QUALITY firearms and TOP QUALITY SERVICE. We are a stocking dealer and our 20,000 square foot store is nationally recognized by top manufacturers like Browning, Winchester, Beretta, Benelli, Smith & Wesson, Glock, Liberty Safes, Remington, H&K, and over 100 other brands.